What Is the Dig Safe Phone Number? What's the "Dig Safe" Phone Number? If your landscape plans call for your doing a lot of digging in the yard, it is a good idea to learn the answers to these questions. To reach the Dig Safe phone number, you just dial 811 (that is right, 811, not 911). Here is an easy way to remember it: You dial 811 first to avoid having to dial 911 later. Dialing 811 is, first and foremost, an issue of yard safety, but it is also more than that. The gist of it is that this is the phone number you should call before plunging that shovel into new ground for any of your DIY landscaping projects (this includes something as simple as transplanting a shrub). By dialing this number, you might avoid severing an underground utility cable while digging, so consider it an important part of your planning for any project. Now that you have the gist of it, let's dig a little deeper (if you will pardon the pun). "Dig Safe" is a regional name (New England). 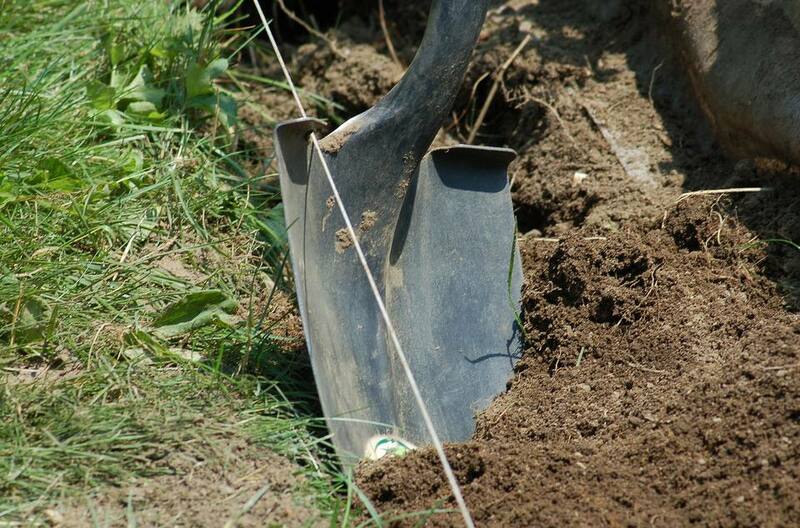 Nationally (in the U.S.), the program is known as "Call Before You Dig." The Common Ground Alliance was the driving force behind the creation of the Call Before You Dig service. The beauty of this system is that it allows you to call just one number, so you do not have the excuse that it's inconvenient. Think of 811 as the "middle man." In this case, that is a good thing to have, because it means you do not have to place separate calls to the electric company, gas company, etc. The service is free, to boot. When you dial 811, you will be asked some simple questions designed to aid the utility companies in finding you and marking the lines. You may be encouraged to mark the area where you propose to dig ahead of time (for example, you can insert small stakes into the ground). This way, the utility companies can focus on marking the locations of the underground lines that are "in the line of fire," so to speak. After you place a call in Massachusetts (to use that state as an example), it will take the utility workers three days to show up and mark the locations of utility lines, according to the Dig Safe website. In other regions, it may take as long as ten days. The markers (flags and spray paint) used by the utility companies are color-coded so that you will know precisely what is lying beneath your feet. For example, Dig Safe uses red for electric, yellow for gas. Request further information, if needed, when you place the call to 811. If you are still in doubt, bring up the matter when the utility companies arrive to mark the lines. With such a convenient system in place, failing to call the Dig Safe phone number before digging clearly has the potential to be one of the worst landscaping mistakes you can make. If a contractor will be doing the work, Dig Safe recommends having the contractor, not the homeowner, make the call. If you've already caused damage to an underground line, call 911, not 811.